This 10-track debut represents the culmination of a three-year journey spent finding that voice, blending it with his father’s rich harmonies and applying them to a wonderful new CD. Every young singer needs support, someone that they can trust as they literally find their voice. For 19-year-old Jesse Liam of Smithfield, R.I., finding that voice has been a family affair. 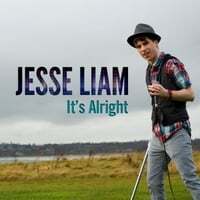 Jesse’s 10-track debut “Father From A Man,” produced by dad Jack Gauthier, represents the culmination of a three-year journey spent finding that voice, blending it with his father’s rich harmonies and applying them to a wonderful new CD. With blues legend Duke Robillard guesting on two tracks and some of New England’s best musicians and songwriters providing the backdrop, this is no synth-pop bubble-gum throwaway. Jesse’s big, clear voice soars over a diverse set of songs that are both unique and memorable. The project was a labor of love for father and son, recorded over several sessions at Jack’s Lakewest Recording in West Greenwich, R.I. The duo has appeared live as “Jesse Jack’son” on stages across New England, and Jesse has fared extremely well on his own. At 16, he made it through an initial cut during American Idol auditions, and currently is a contender for the finals of the Community Auditions competition. Jesse is a sophomore at Rhode Island College. Jack is a longtime producer and engineer who has worked closely with Duke Robillard, Dispatch and countless others over a successful 20-year career in the business.